We’ve been out road-testing the latest must-have scooter accessory; a Scootlock! 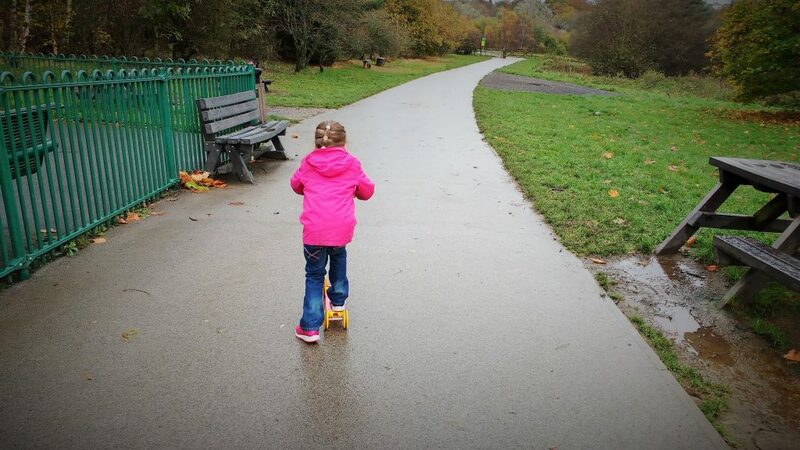 My eldest loves racing around the park on her scooter and our younger daughter is getting into it now too. But what do you do when they spy the playground and you’re left with 2 scooters, a pushchair, and 2 children to keep an eye on?! 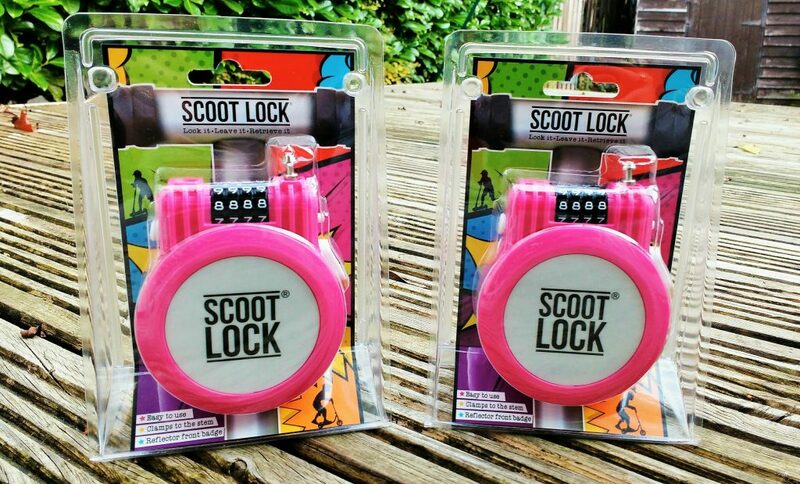 A Scootlock (£19.99) is a nifty little gadget that allows you to quickly and easily fasten your scooter to a fence or bench. 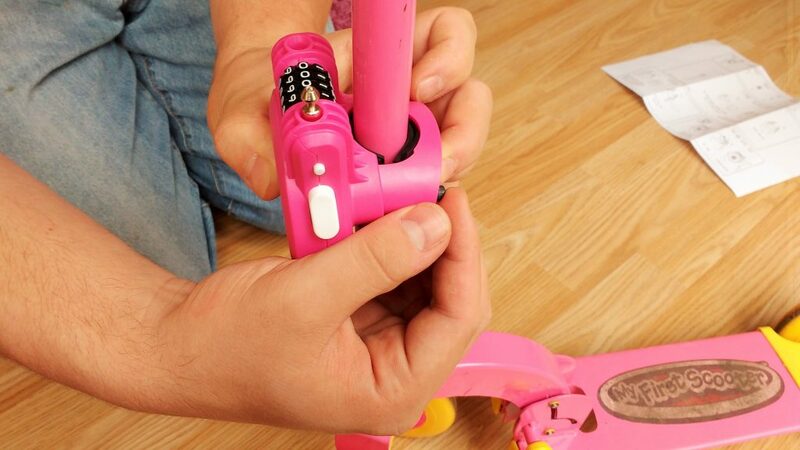 It’s a bit like a bike lock but it lives on your child’s scooter so you always have it with you (one less thing for us busy parents to worry about!) and unlocks by inputting the pin-code. 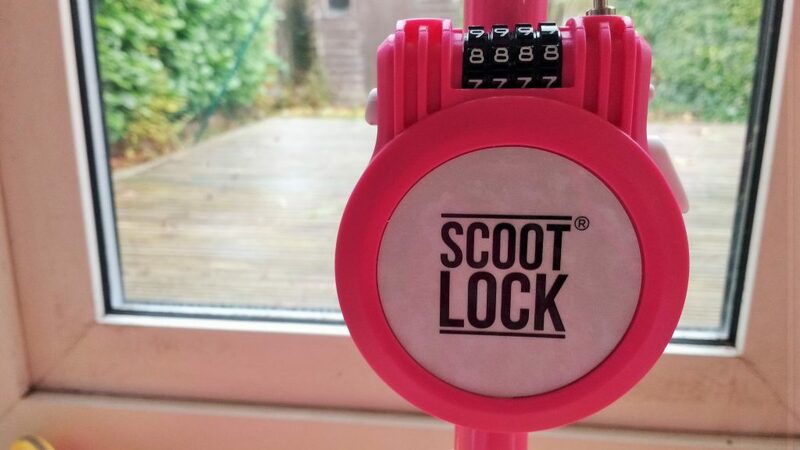 My daughters were so excited about choosing their own “secret code” for the Scootlock! My 5yo said it’s just like when Roquefort has to unlock the chest in The Aristocats by twisting the dial to the right number. 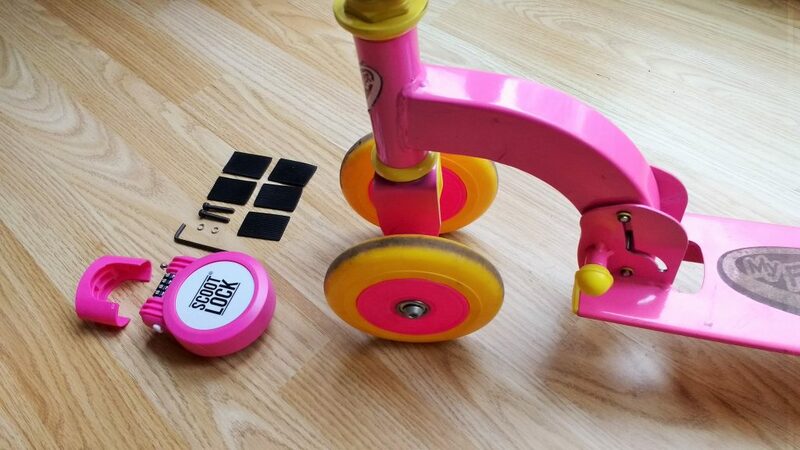 We chose two pink locks but there are five colours to choose from, and they can be easily adapted to fit adult or junior scooters, bikes, or even pushchairs (think peace-of-mind when you have to queue for buggy-free tourist attractions / activities). As the dark winter nights are starting to close in, it’s also great to know that the Scootlock badge is reflective, making your kids easily visible. 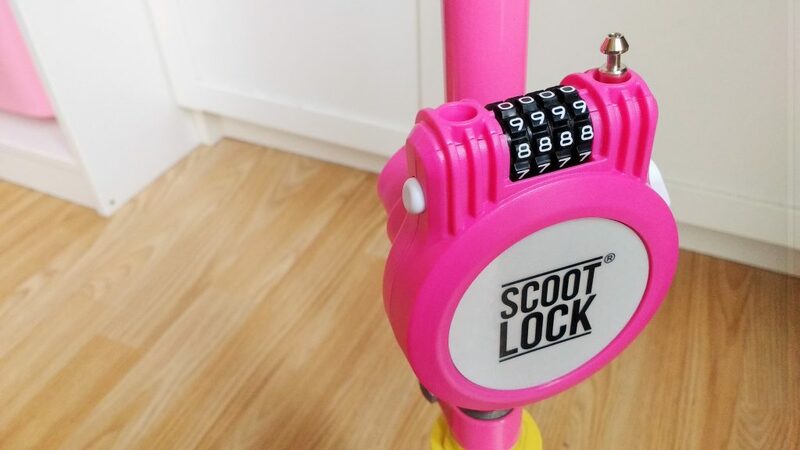 The Scootlock is easy to use, and is a really simple way to keep your kid’s scooter safe. We love that it is always attached to the scooter because mummy is we are a bit forgetful sometimes. 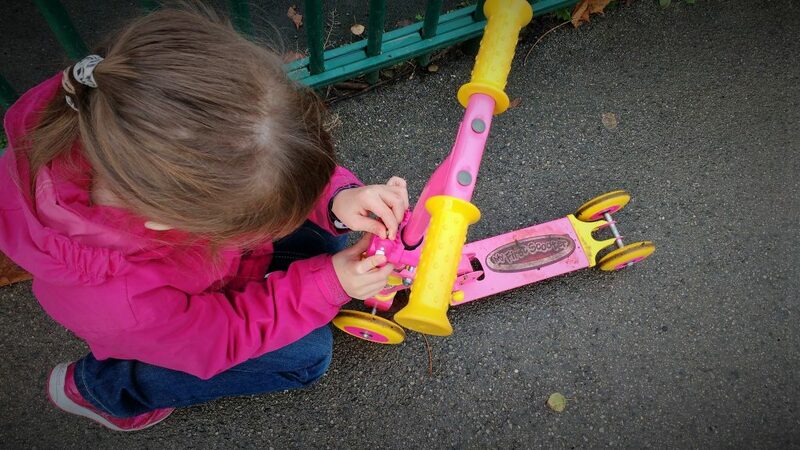 My 5yo struggled a little to fasten the scooter up by herself as you have to hold a button down and pull the cable out of the coil at the same time, but I’m sure she’ll get the hang of it after a few tries. Plus, she feels very grown up and excited about having her own secret code. Overall, we felt it was a really useful product, and would be a fantastic addition to any scooters that might be hiding under the Christmas Tree in a few weeks time! 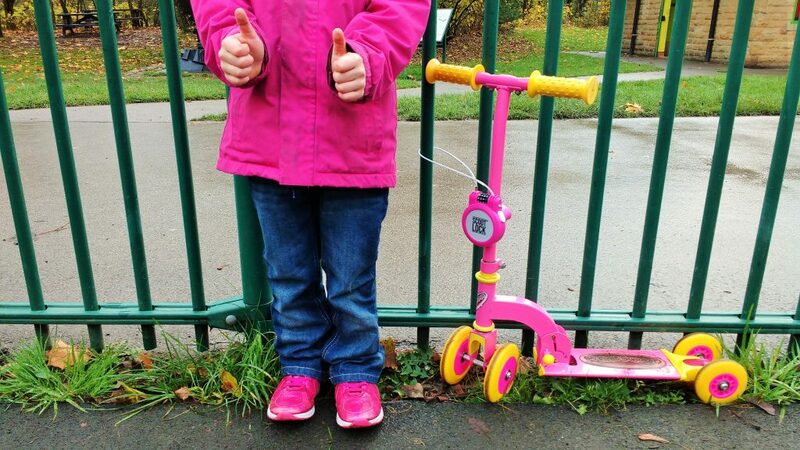 The Scootlock gets a big thumbs up from us! 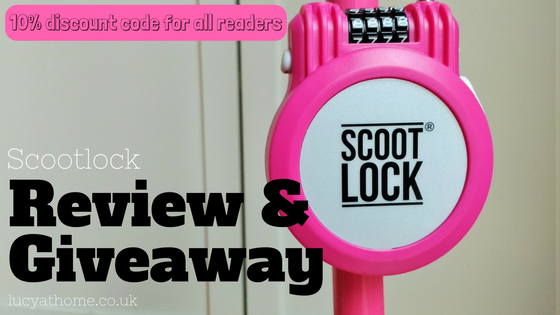 You can also enter the Rafflecopter competition below to win a free Scootlock of your choice! P.S. Don’t forget to check out my other current competition to win a free cake (ends 8th Dec). Please note: The competition has now ended and the winner has been contacted. Disclaimer: I was given 2 Scootlocks for the purposes of this review. All opinions are my own. For more info, check out my Disclosure Policy. No Purchase Necessary. Giveaway starts 17th November 2016 at 00:01 GMT and ends 15th December 2016 at 23:59 GMT. UK entrants only. Winners will be selected at random using random.org and notified by email. Where possible, I will also tweet the winner. Winners have 48 hours to respond before a new winner is selected. No cash alternative. Please note that Lucy At Home is not responsible for sponsors that do not fulfil their prizes. I have represented each sponsor with the expectation they will fulfil their prize and in a timely manner. I will only be passing your details onto the sponsor so that they can contact you regarding your prize. I do not share or sell information and will use any information only for the purpose of contacting the winner. Facebook, Twitter and Google+ are in no way associated with this giveaway. The 10% discount is only valid on scootlock.com and is not applicable to delivery costs. No cash alternative. The discount code ‘Lucy’ will expire on 24th December 2016 at 23:59 GMT. Enter the code in the ‘Apply Coupon’ box on the Checkout page of the website. Cannot be used in conjunction with any other offer. Please note that Lucy At Home is not responsible if the sponsor does not accept the code. I have represented each sponsor with the expectation they will fulfil their proposed discount. 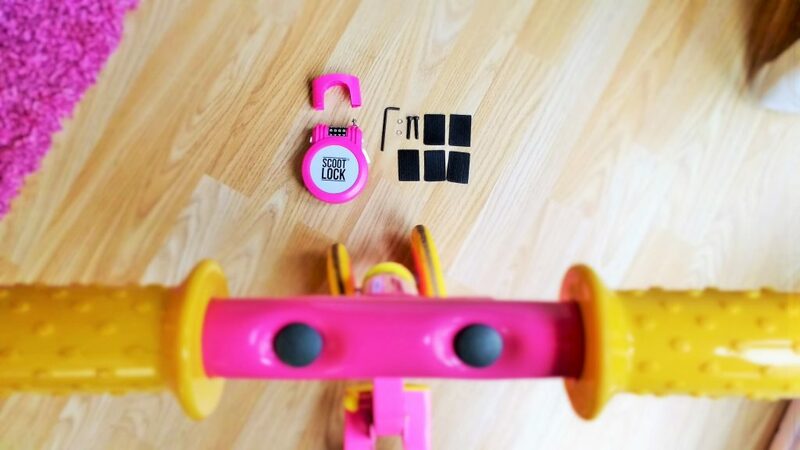 I love the bright colous and they look so easy for little children to lock and unlock themselves! Yes they’re really colourful! And very simple to use. Thanks for commenting, Tracy. Good luck with the competition! Oh yes it’d be perfect for that sort of thing! 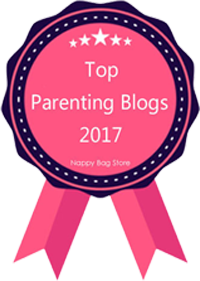 We had a similar thing the other week because we went to CBeebies Land and had to leave the pram in the buggy park whenever we wanted to go on a ride – I wish we’d had these then! 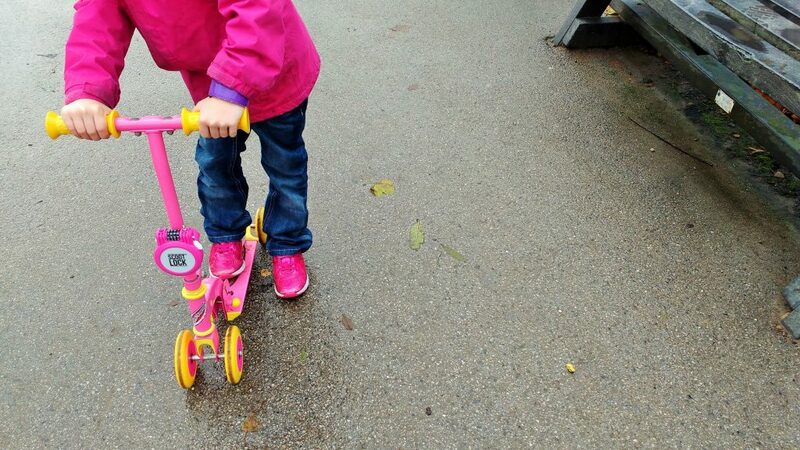 Seems a brill idea, I am forever walking around the park with scooter in one hand pushing the pram in the other! 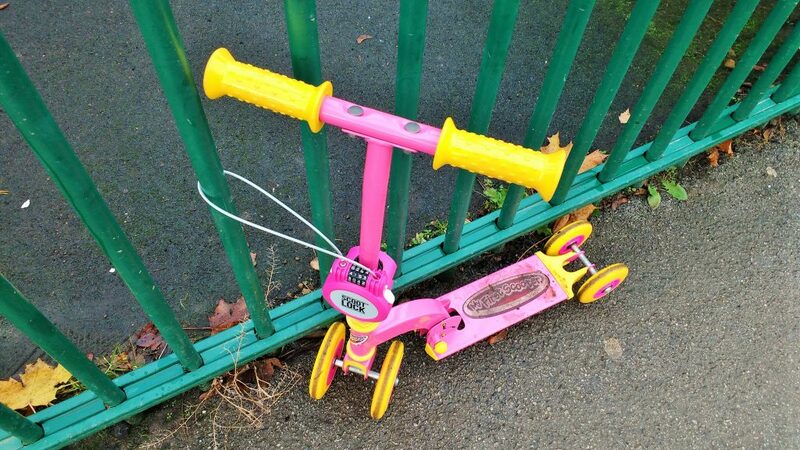 Especially good as it gives kids a sense of responsibility to lock the scooter up themselves. I think it is a great idea & also shows children that we need to look after our items & make sure they are secure when left alone. I like the bright colours too! I like the bright colours too! Love the colours and a great idea for helping keep scooters safe. I like the fact that they are easy to attach.